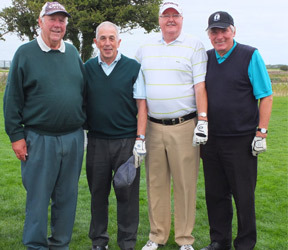 The 13th annual Golf Tournament was once again blessed with fine weather and an excellent turn out. Both competitions were keenly contested. 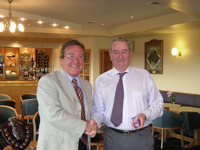 Non playing Captain, Tony Small presented the prizes at the Machynys golf club. 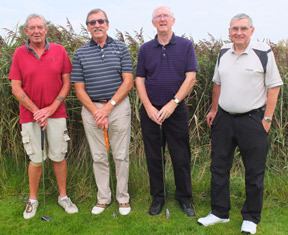 Men's Champion was Terry Beynon, originally from Wernffrwd, Penclawdd, closely followed by Alfie Jones and Hugh Thomas. 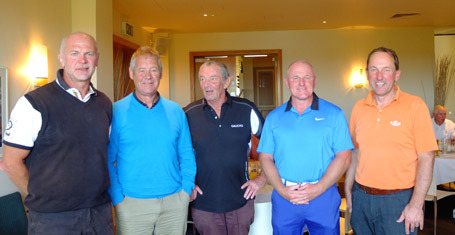 Roy Williams, Clive Morgan and Bleddyn Taylor were also amongst the prizes. 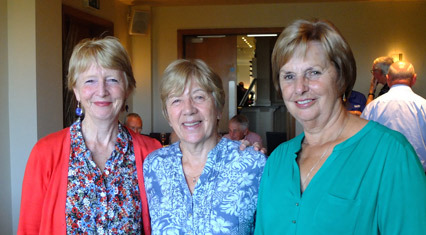 Ladies' Champion was Dawn (Evans) Thomas, narrowly beating Margaret (Thomas) Dobbins and Mair Jones. We were joined later in the day by Peter Calvin Evans, now living in London, Ontario. 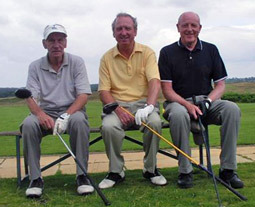 Peter lived in Pontlliw, entered Gowerton in 1955 and was in the same form as players Alfie Jones and Roger Pardoe. Peter emigrated to Canada in1966. 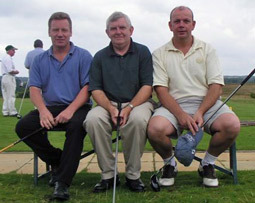 Peter Calvin Evans, Owen Davies, Derek (Decus) John. 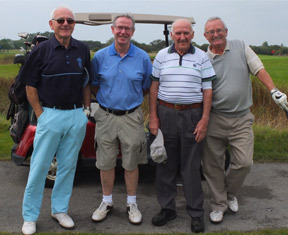 Most experienced golfer was once again John W Davies, who started school in the 1940s!! 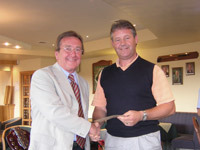 - and Guest Winner was Deryl Rees who gave golf lessons at the school in the 70s. 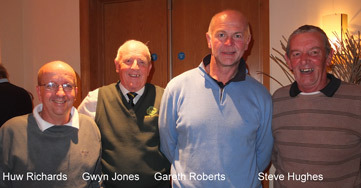 Gareth Roberts, David Foote, Steve Hughes, Bleddyn Taylor, Lyn Griffiths. 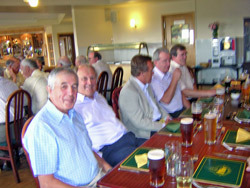 Once again we had a wonderful turnout for the 12th GOWERTONIAN GOLF DAY at Machynys, Llanelli. 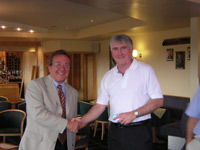 Once again the most “experienced golfer” was John W.Davies (46-51). 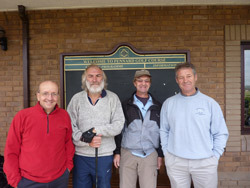 Longest drive and “nearest” the pins went to Alex Reid and Nigel Griffiths. The Ladies' Champion is Dawn (Evans) Thomas, closely followed by Mair Jones. 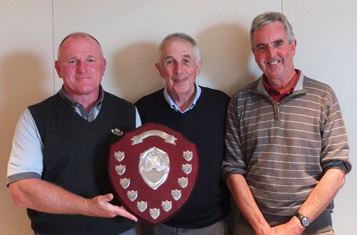 Bleddyn Taylor retained the shield with a magnificent round, leaving Roy Williams and Iwan Stokes scrambling in his wake! 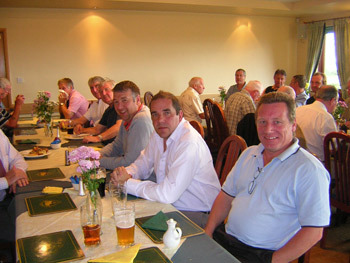 Once again we had a magnificent turn out for our 11th annual golf day. 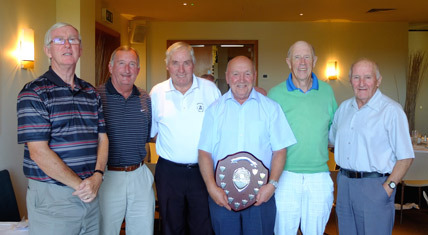 Thirty six Gowertonians, including four ladies battled for the coveted trophy!! 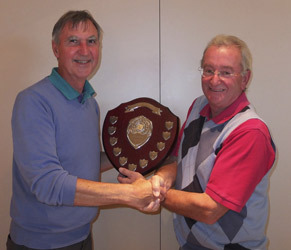 The Champion golfers were Bleddyn Taylor with 38 points and ladies winner was Margaret Dobbins. Captain for 2015 is Kath (Lewis) Davies. 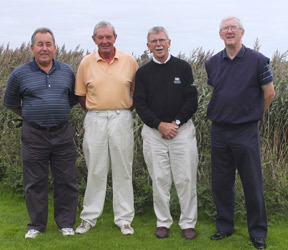 The 2015 tournament is on Tuesday, Sept 15th at Machynys. 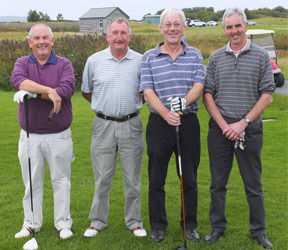 The 10th Gowertonian Golf Tournament was held in September at Machynys Golf Club. 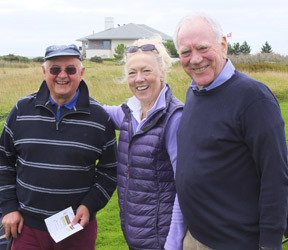 Once again we had a good turn out highlighted by the appearance of our first lady golfer, Kath Davies (Lewis). In all 32 played, and as usual a good time was had with lots of nostalgia in evidence. 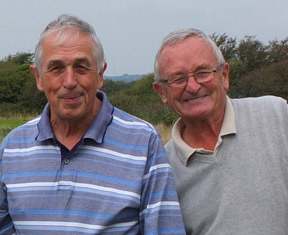 Two welcome players were Griff Lewis, head boy 61-62 , who is Kath's brother and who now lives in Sydney, Australia and James, Jimmy Francis formerly of Gorseinon 58-65 , who now lives in Hong Kong. Both guys arranged their holidays to coincide with our tournament. 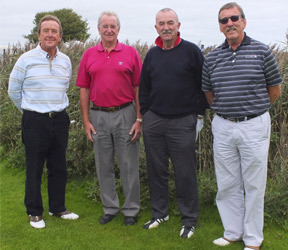 This years winner was John Beynon followed by Past winner Phil Hopkins,Terry John and Gerald Akexander. 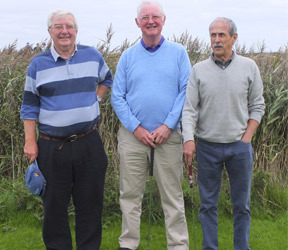 Longest drive yet again was one by Iwan Stokes and nearest the pin by Islwyn Davies, whose brother John W won the most experienced player award. When you consider that John left school in 1949, gives us all hope! 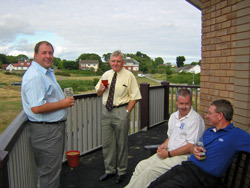 By popular demand we shall return to Machynys next year and expect to meet up with old comrades, boys and girls. Well done Kath. 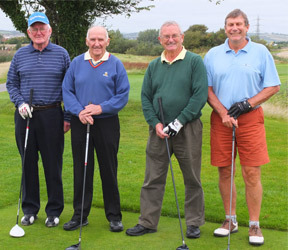 On 19th October at the Machynys Golf Club Llanelli, the 9th annual Golf Day was held. Amazingly the weather was good, but as expected the course was a little wet in some places. 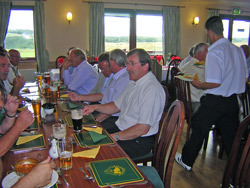 We had an excellent turnout with 32 Gowertonians competing, which is just about the ideal number. 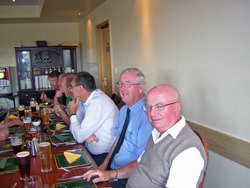 Our President, Don Shepherd, as usual led the way in sprightly fashion. Don started school in 1938!!! 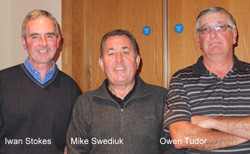 Some excellent golf was played. 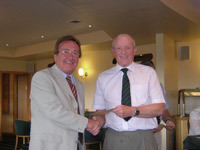 Don presented the prizes in the absence of club captain Owen Davies who was taken ill that morning. 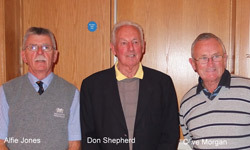 Most experienced golfer was of course Don Shepherd and our champion guest was the ever faithful Deryl Rees. 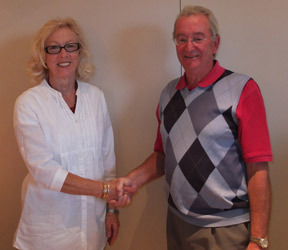 Dr. D Alan Dobbins was unanimously elected Captain for next year. to be decided but will be posted on the website. 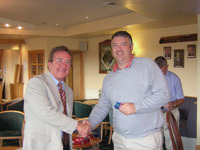 Winner of 2011 Golf Tournament was Gareth Roberts. 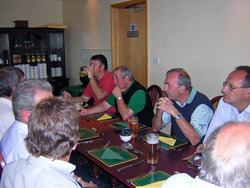 Over twenty Gowertonians met to compete for the 7th Annual Golf Tournament at Pennard Golf Club on 15th October 2010. 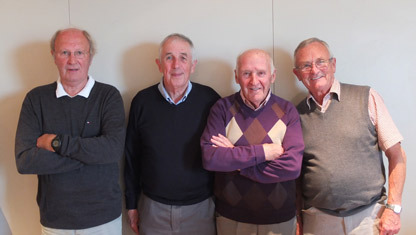 Joining us this year were a number of new faces who were in school in the 70s. 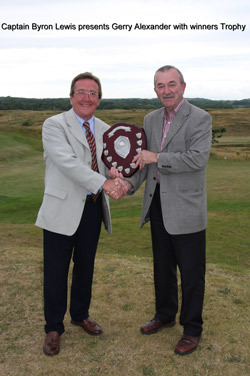 As usual, the Championship Shield was a close-run event and this year's Champion Golfer is the popular Dai Foote, Penclawdd, with 38 pts. 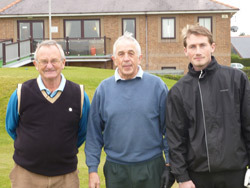 Second was a new member, Gareth Roberts, Pontlliw, with 37. 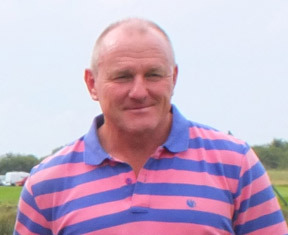 You will remember that Gareth played rugby at the highest level and had many caps for Wales. 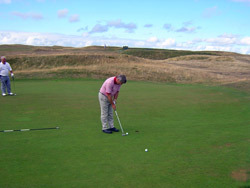 Former winner, Gerry Alexander, Loughor, playing off 6 had 36 pts just edging Mike Swezdiuk, also a Loughor boy, into 4th place. 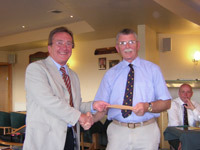 The Longest Drive was won by Bleddyn Taylor. 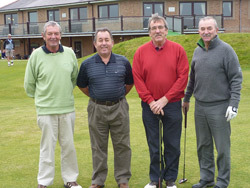 Nearest the Pins were won by Gerry Alexander and Hugh Thomas, Gorseinon. 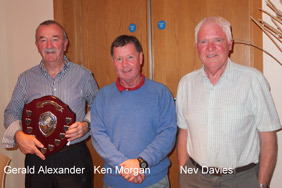 The most experienced golfer this year was Clive Morgan of Gorseinon who was in School in the early to mid 50s. 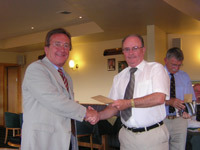 Overwhelming choice of Captain for 2011 is Clive Brannigan. 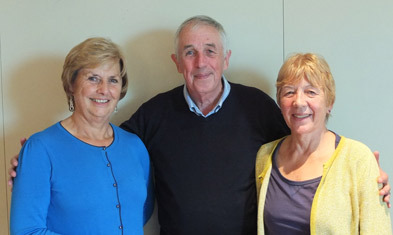 Clive started in School in 1955 and was an outstanding cross-country runner. 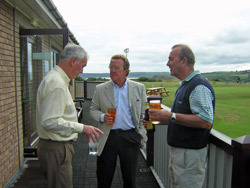 He has lived all his life on the Gower and is looking forward to his year as captain. Next year's date and venue are yet to be decided. 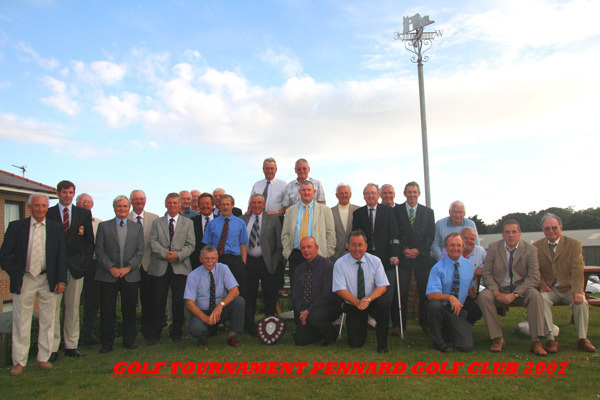 Once again thanks to Pennard Golf Club and Keith Gwynn who organises the day. 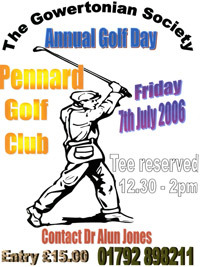 Once again we are grateful to Alun [Alfie] Jones for organising this popular event at Pennard Golf Club. 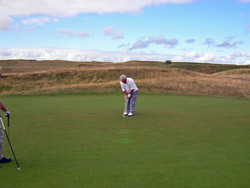 The course was tough with high rough and holding fairways and greens. 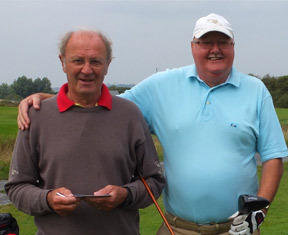 Dave Borthwick and Roger Pardoe managed to lose 9 balls between them, an indication of the state of the course. 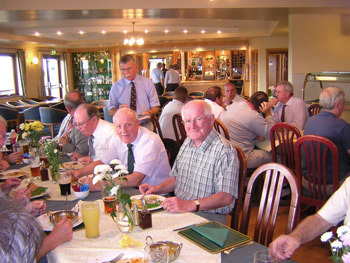 30 Gowertonians took part with this year's captain Byron Lewis, Her Majesty the Queen's Lord Leiutenant for West Glamorgan, leading from the front having turned down the opportunity to dine with Carol Thatcher on the same day. 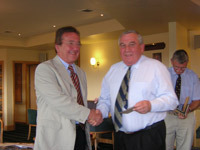 Apologies were received from the club's President Don Shepherd who attended a presentation made to him by Glamorgan CC for his outstanding services to the county at the New Swalec Stadium. The Longest Drive of the day went to Dr Alfie Jones! 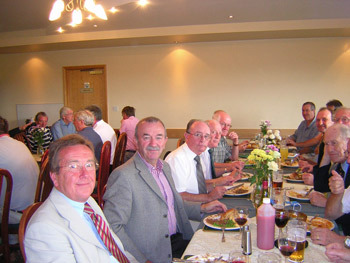 We were grateful to the Pennard Golf Club for hosting us once again particularly their catering staff for excellent cuisine and ambience. It didn't take long to appoint the captain for 2009.By a massive majority Dai Foote was voted in. 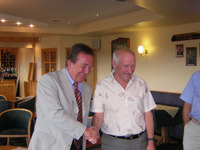 At our last meeting our President, JOHN STONE, stood down and DON SHEPHERD was duly elected in his place. 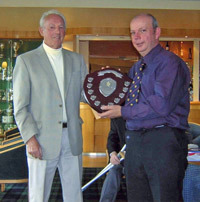 BYRON LEWIS was then invited to be Captain for the forthcoming year 2008. Thanks to KEITH GWYNN for his continuing support. 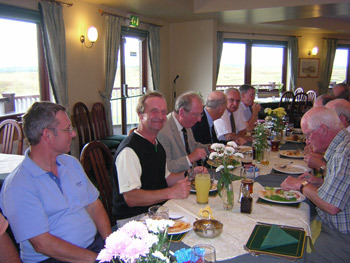 Once again we are indebted to Pennard Golf Club and Mike Bennett for their help during the day. 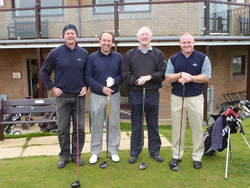 If you'd like to play in the 2008 tournament, please contact 'Alfie' on 898211. This event was once again a huge success. While we await news of the winners of this event, please see below the photos taken by Robert. 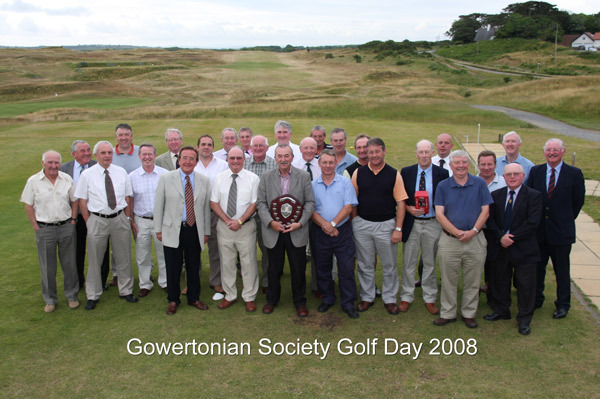 To celebrate the centenary of the Gowertonian Society an inaugural Golf Competition was held at Pennard Golf Club in June 2004. 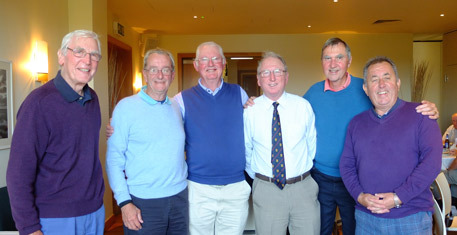 The winner of the Centenary Trophy was Roy Williams (1954-1961) and the presentations were made by Mr John Stone- a pupil at the school in the 1920s who is now in his 90 th year, and also by Mrs Julie Foster, a former Welsh International golfer, now a member of the teaching staff at the school. 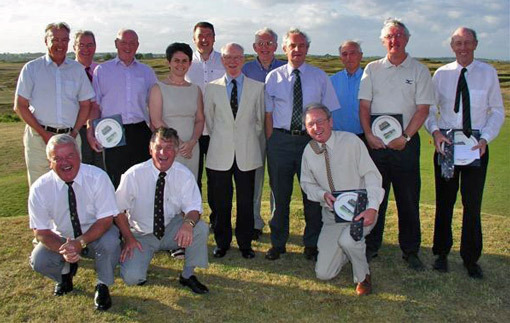 The 2005 competition was again held at Pennard on 8 th July, a gloriously sunny day. 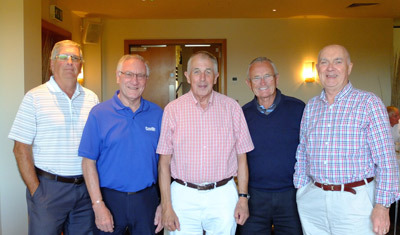 Forty golfers competed and this year’s winner was Ernie Brown(1969-1973) with an excellent 39 points closely followed by Phil Hopkins and Dave Foot (both circa1970). Gerald Alexander, Byron Lewis and Windsor Bowen also featured strongly. 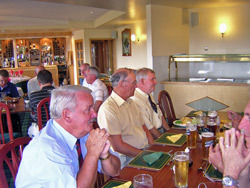 All agreed that we had an excellent day and we look forward to this year’s competition which will be held on July 7 th 2006, 12.30 at Pennard Golf Club once again. 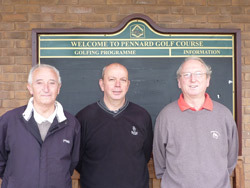 The Society wishes to acknowledge the generosity of Pennard Golf Club and the help and advice received from Mr Mike Bennett, Golf Professional.